Hospice Care provides comfort, support, and symptom management to patients with illnesses that affect their day-to-day life. In many cases, patients need hospice services when they are given 6 months or less to live. Emotional support and care are also offered to family, friends, and significant others to ease them through this time. Hospice care can be provided in the security of the patient’s home or in an assisted living setting or hospital. But what services does hospice provide on a daily basis? Whether the pain is from an illness or age, severe pain can affect a person’s quality of life. When in hospice care, registered nurses monitor a patient’s pain by providing regular pain assessments. Working with the patient’s physician, the nurse is able to treat the pain right away. The goal for pain and symptom management is to make the patient as comfortable as possible. 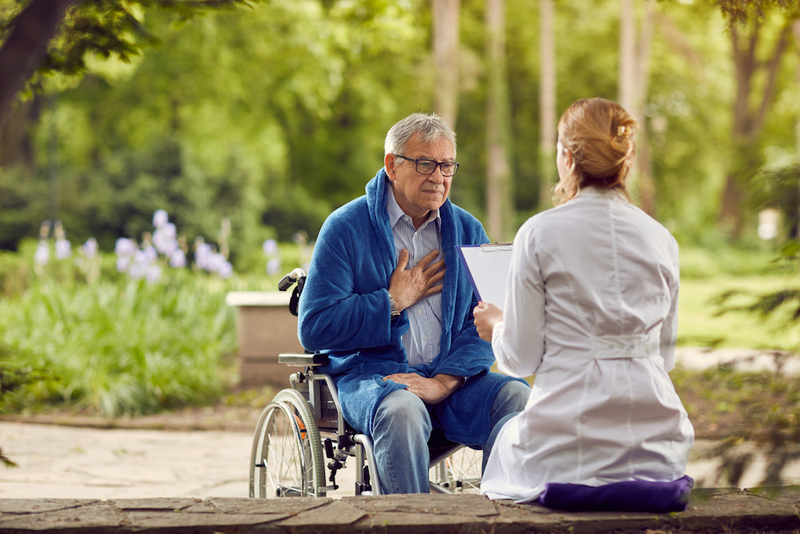 Many times when a patient first receives hospice care, a hospice therapist talks with the family and patient to evaluate the psychological and emotional standing of the patient. Whether they need counseling services because of Alzheimer’s or are dealing with depression and anxiety, hospice offers emotional, psychological, and even spiritual counseling. Even after the patient’s death, the bereavement staff offers emotional counseling to family and friends. A patient’s nutritional care is one of the services hospice provides to help improve their quality of life. Whether a patient’s appetite has been impacted by cancer or other serious illnesses, or their body isn’t getting enough nutrients, nurses evaluate the patient to find out how they can maximize their diet. Strategies are discussed with the patient and family beforehand to find out the best nutritional services to be administered. When patients enter hospice care, more often than not they are no longer able to perform simple day-to-day tasks. Services can include giving individualized attention to the patient by helping them bathe, eat, and get dressed. Hospice nurses and aides also assist in personal care, helping the patient go to the bathroom, and even if providing at-home hospice services such as assisting with activities of daily living. Doctors, social workers, and nursing staff all work together to make sure the patient has the medical support they need. This can include bringing in the patient’s regular physician. As a terminal illness progresses, the medical staff assesses what needs to be done and puts together a plan of care to follow for the patient’s remaining time in hospice, even including the required equipment. All of this is done by including the patient and family in the decision. When the patient or caregiver is in need of assistance, whether it is because their medical condition is extremely complex, or they require help with legal issues, hospice can provide social services. Social workers are also trained in various techniques that include helping the patient handle emotional distress and providing resources and support for the patient’s wishes. Hospice volunteer services are often able to provide support for the family and friends of the patient. These can include helping with errands, staying with the patient to relieve family and friends, and lending emotional support and companionship. Hospice also offers bereavement services to help the family through the patient’s passing. Hospice can offer 24-hour care for seven days a week if the patient needs this service. This might be necessary for a patient that is having uncontrolled symptoms or if the family is unable to be with the patient for that amount of time. Hospice focuses on the quality of life remaining for your loved one and gives them unlimited support to help make every moment as comfortable as possible. For more information about the different hospice services, give us a call today.